Along with the black box, insurers now have another way to differentiate between a good driver and a bad one. TomTom Satnavs will be coming with an added feature to tell the difference between safe and careless drivers. With the Dutch company behind the TomTom device watching its fortunes flounder, new and innovative designs were the need of the hour. Now, the company has joined hands with a UK-based insurance company to provide Fair Play, a product made especially for insurance purposes. Under this scheme, the safest drivers will enjoy lower premiums. The Dutch company behind the TomTom Satnavs has been producing personal navigation devices (PNDs) for vehicles for a while now. Thomas Schmidt, the Managing Director of TomTom Business Solutions is quite optimistic about the new product’s chances of making life easier for the harried insurance applicants. “Our entry in the insurance market with our proven fleet management technology puts us at the forefront of a move that could help to revolutionise the motor insurance industry,” Schmidt says. He continued to say that the main focus now was to expand the product’s market to more firms across Europe, garnering a customer following numbering into thousands. Fair Play evaluates a person’s driving ability and behaviour, judging how safe they are behind the wheel. 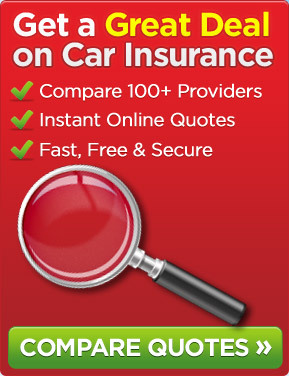 This information is monitored by the insurance company, which then decides what kind of premium to be allocated to the driver. This is a much better and fairer method of allocating premiums, rather than conventional risk factors such as gender, postcode, age and vehicle. “Drivers using the insurance product will have a TomTom tracking unit fitted in their vehicles, allowing driver behaviour and habits to be monitored by insurers and by improving driving style, you can drive down your premiums,” continued Schmidt. This is good news for the safer drivers among the crowd, who can finally lay their hands on the cheap car insurance they have been dreaming about. Another executive from TomTom, Richard Piekaar says that assuming the customers agree pay for the TomTom tracking kit, they can benefit from lower premiums immediately if their results show that they are safe drivers. The Business Solutions unit of Tomtom uses the same kind of tracking technology to monitor and track truck drivers. This includes its fleet tracking division and fetches about 5 percent of the group sales, amounting to approximately 65 million euros, as of 2011. Earlier, some sceptics doubted the monetizing and growth potential of the new insurance product, but based on Tomtom’s efficient tracking technology and UK’s grim insurance premium scene, most agree that it is a good sign. “It is positive they are looking for alternative business models and are being innovative. Linking the insurance market to telematics is new, but there are uncertainties with regards to the business model,” said Martin den Drijver, SNS Securities analyst. With competitors such as Nokia Oyj and Google in the digital map market and Garmin in the PND market, TomTom seems to have a lot at stake with the success or failure of its latest offering. This entry was posted in News and tagged Black Box, car insurance, Cheap Car Insurance, Insurance Product, Satnav, TomTom. Bookmark the permalink.